Best Location! Walk Downtown! 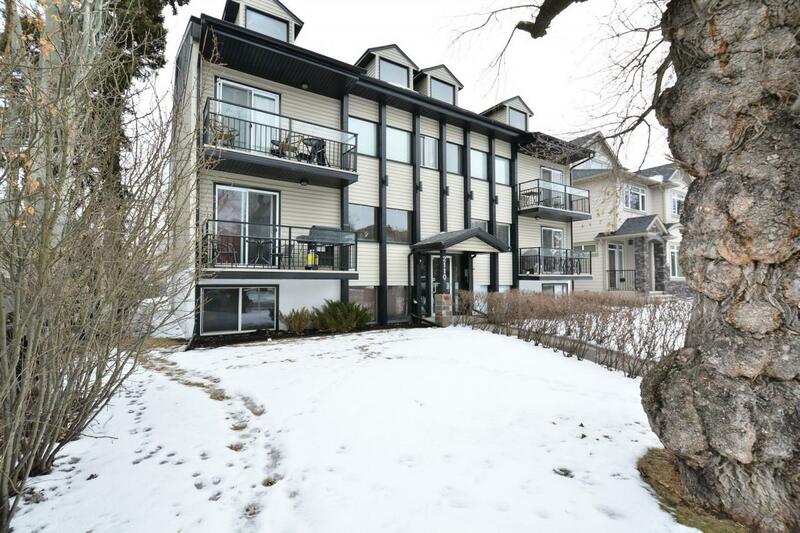 Beautifully Updated and Completely Renovated unit WITH In-Suite Laundry, PARKING AND STORAGE on an ultra quiet, Tree-lined street in Bankview. This well appointed, open concept unit is nice an bright with ample amounts of natural light from the West facing windows and patio doors leading out to the large balcony. One of the largest and nicest kitchens you’ll find with granite counters, espresso stained Full Height cabinetry, breakfast bar, and newer appliances. Bathroom features granite vanity, ceramic tile flooring & tub surround. Hardwood floors throughout the unit and very large master bedroom that won’t disappoint! This truly is a special location. Be sure to book a private tour of this turn-key move in ready home! Also don’t forget to click the links for additional photos, virtual tour, and information.